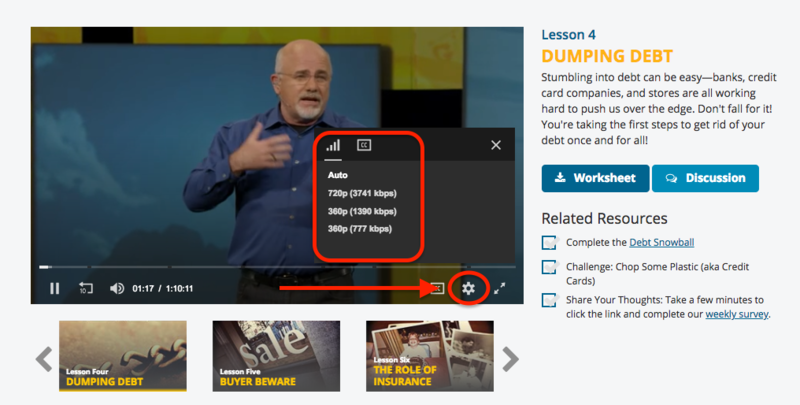 If you are having an issue with the FPU Videos not playing properly (the video may seem to pause or skip or otherwise not play smoothly), you may need to adjust the video resolution or check your internet connection speed. On the video player look for the "gear" icon and change the resolution down to 720p or lower. See the screenshot below. This should solve the video issues. If you continue to have difficulties, please contact tech support here.